FIELD, BRITISH COLUMBIA, CANADA–After a very steep and long climb, our little field party visited another restricted quarry of famous Middle Cambrian fossils: the Mt. Stephens Trilobite Beds. 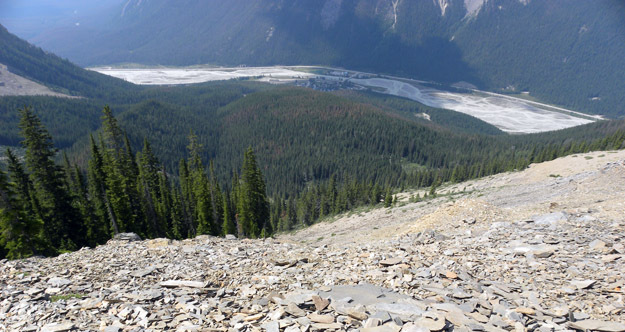 Charles Walcott also collected from this site when he was working on the Burgess Shale. 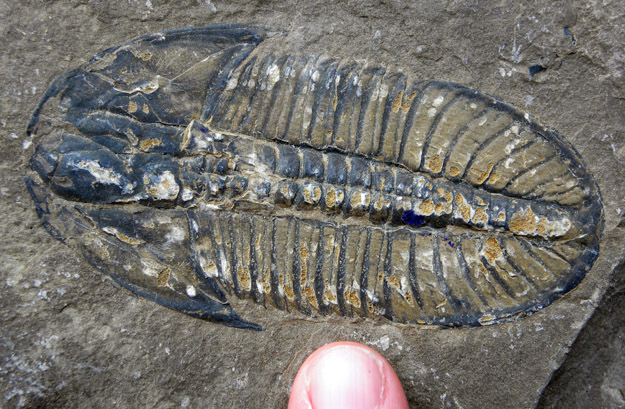 The fossiliferous unit is about a million years old (more or less) than the Burgess Shale itself, and it has a rather different fauna dominated by large trilobites. One of the most exciting new ideas is that these fossils may represent an ancient cold seep community associated with methane degassing from the sediments. 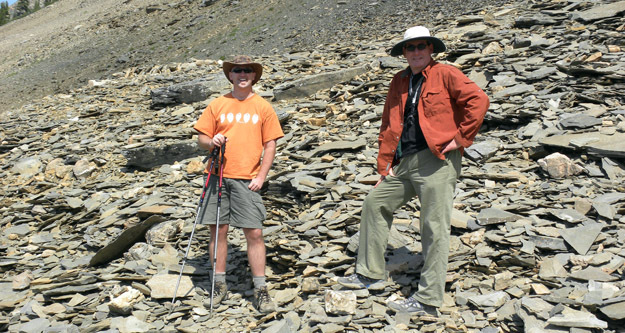 Our Canadian guide (and paleontologist) Paul McNeil and our trip leader Matthew James in the Mt. Stephen Trilobite Beds Quarry. A view from the Mt. 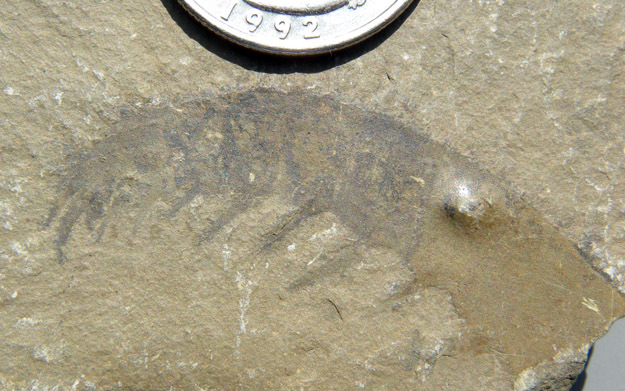 Stephen Trilobite Beds down the mountain to Field and the Trans-Canada Highway. Note the steepness. Nearly did me in! A beautiful complete trilobite. Very common here. An appendage of one of the most famous Middle Cambrian fossils: Anomalocaris. The Mt. Stephen Trilobite Beds also have soft-bodied preservation.